Hello fellow cardsmiths, we're back for two weeks and wanted to host a small contest for those looking to try new more challenging card designs. 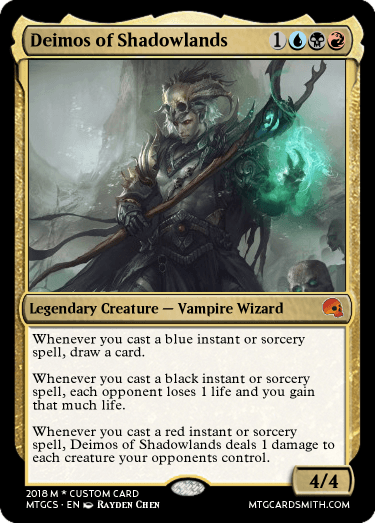 Today we're hosting a contest with the intention of designing attrition based commanders. Well you're all probably wondering why "attrition" of all things. What was that again even? 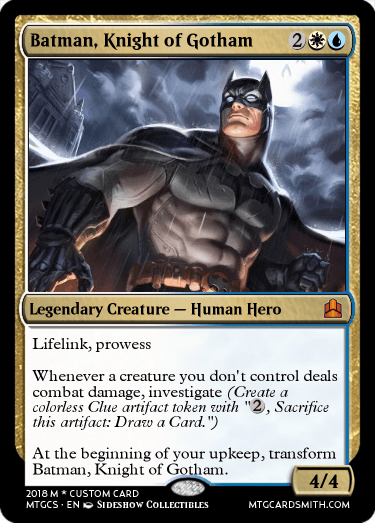 Well it's a form of control deck that gives up tempo for value at any cost. 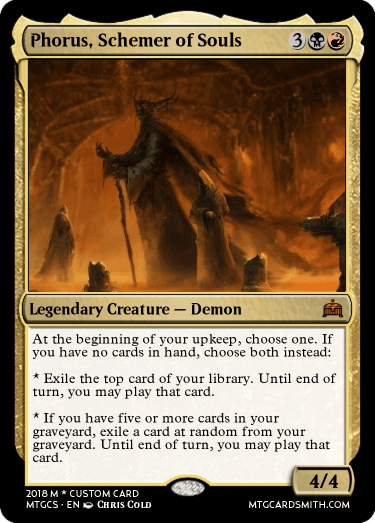 Below are three perfect examples of attrition commanders that are very different in scope. The first is the best example of paying for value, in that it replaces damage for card draw. - 5 favorites of your choice. 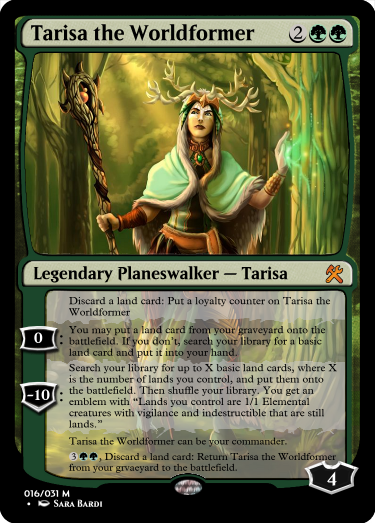 1) Card must be a commander. 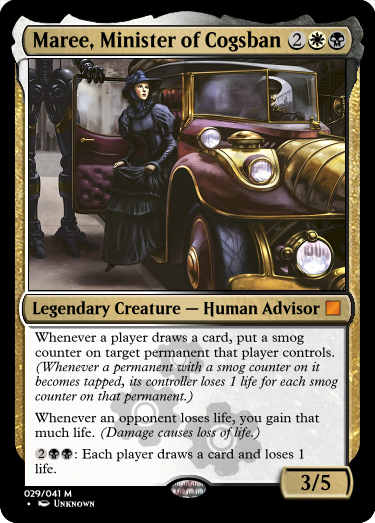 2) Card must support the attrition/control archetype. 3) You may make up to three cards. 4) Cards can be edited as long as the due date hasn't passed. 5) Cards can be switched out as long as the due date hasn't passed. 6) Cards can't be made before the 26th of July. 7) Make sure to credit the creator of the artwork on your cards. Thanks, I was scared that the subject matter was less interesting to people. I usually like bumping with content but I haven't been able to make another attrition card yet. They are quite challenging which is another reason I was worried. 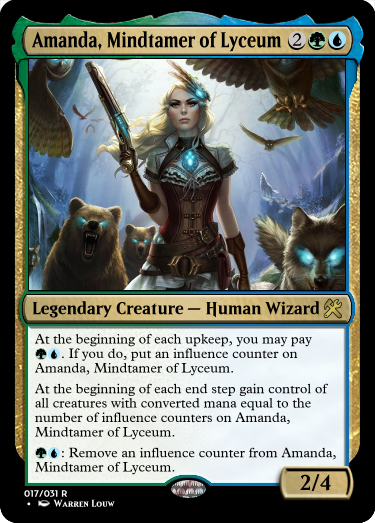 Note: The commanders can be based around being attrition themselves or requiring an attrition setup like Arcades, the Strategist. Thanks for the entry @sorinjace. You're the first to enter, woohoo! I'll try to enter your contest later, but I have to do some quick research on MTG Rats to be sure. Cool, ok, thanks @modnation675. This is the lowdown on my contest(s)"
Summer Cartoons Challenge ends last day of August, 1 week break period for judging, then the playoffs for top 10 contestants will take place until the end of September. Nice entries everyone. Sorry for not posing anything today, I was out shopping and doing returns. @modnation675: ah shoot, I didn't see that this was an attrition commanders contest! Sorry! No worries, I'll update the name of the contest. Two more examples of attrition commanders, I made using lashing and study. 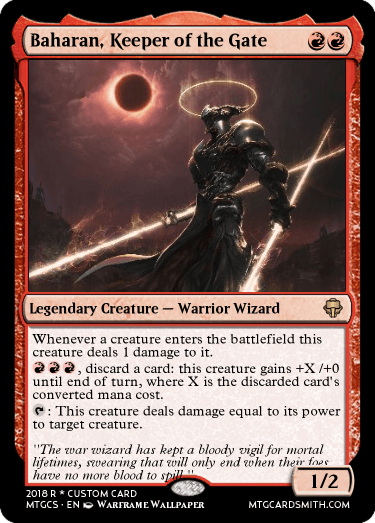 While a standard approach to an attrition deck comes through card draw, black often prefers to get its card advantage through reducing, reusing, and reanimating. 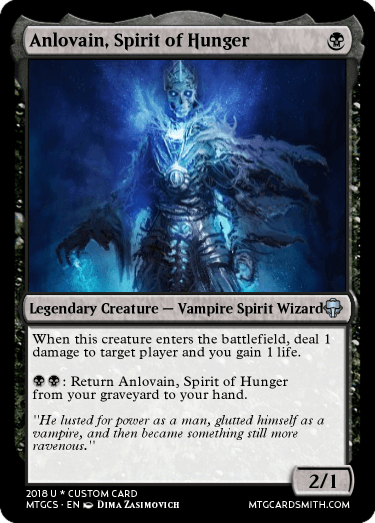 Anlovain wants to be a chump blocker/early threat so he can get recycled onto the battlefield as often as possible, gnawing away at an opponent with each return. 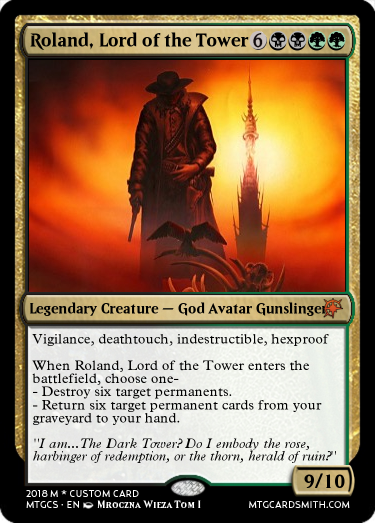 Because of his cheap base cost, ETB ability, and self-recursion he's designed to be a commander you'd rather send to the graveyard than the command zone. 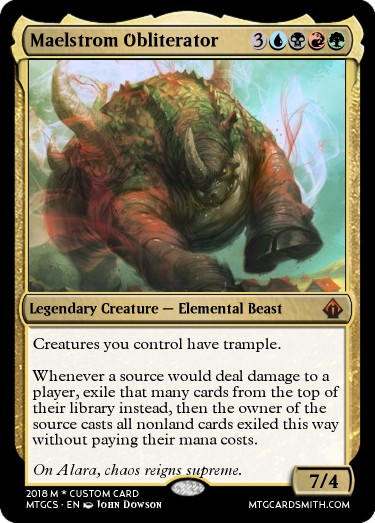 He's designed to enable attrition decks by providing the finisher for a deck that only cares about holding off the opponent until he can do so. Because, why not? 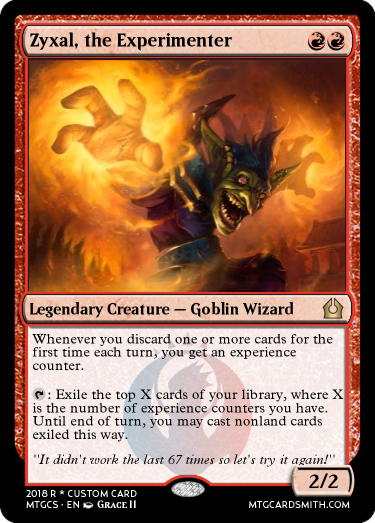 Went looking for a way to do mono-red control/attrition enabling commander... because that's totally a normal thing to do in red, right? Definitely got a card with red abilities that sends players in an unusual direction. Updating Astotle, the Mortal Savior in the morning! Yep, that is controlly enough. Ezikyll needs some updates due to a minor lack of foresight. Will do so by this evening! @modnation675 Is this also controlly enough? Maelstrom Obliterator is a callback to Hostility, converting your damage into...more damage, essentially. 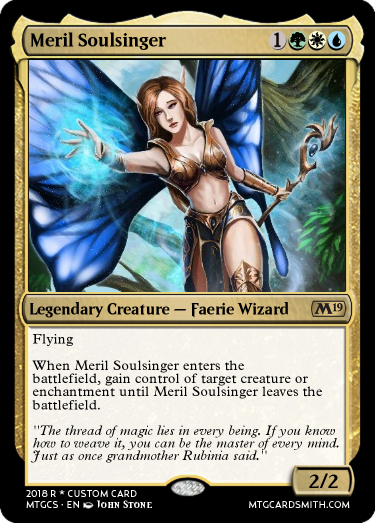 Although Maelstrom Obliterator doesn't actually do more damage, the many spells it will generate certainly will, adding to the snowball effect. I would greatly appreciate feedback as always! 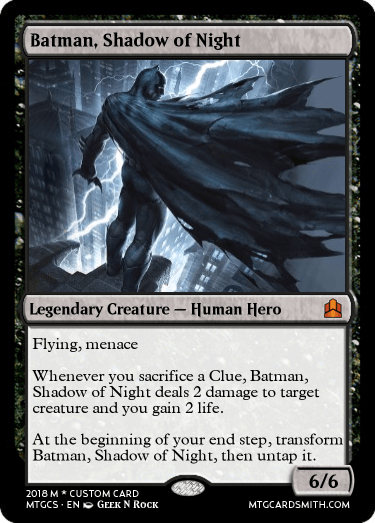 Batman is a double sided commander. Posted some feedback on your card's page. It's a really cool attrition card! Make sure to check out the following for a chance to win a prepaid card to share with friends! Share of your recent contests for a chance to win a prepaid card! In a couple weeks I will be hosting with several other judges a great contest and hope you all could join! It is a secret! 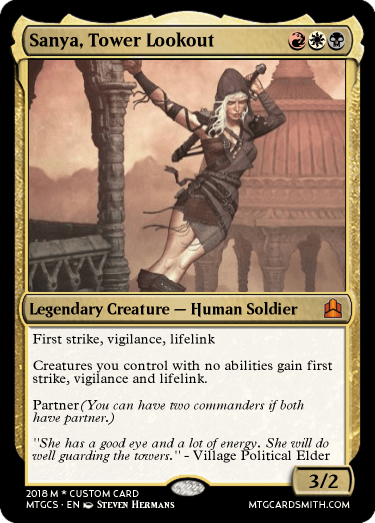 But I do have a contest called Chain of Commander that sorta died off if anyone wants to hit it up! Make sure to join the thread I linked if you'd like prizes to award the contestants. There's a good chance to win!